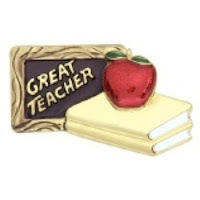 I work with new teachers and pre-service teachers quite often and I think about what traits are indicative of a "Great teacher" and try to help them develop these traits and skills. Here's my list. Add yours and your comments. 1. Positive Attitude - being negative will make you angry, pass negative attitudes onto colleagues and students and not make you effective. 2. Lifelong learner - teachers need to know that they don't know everything and that things change, so they must always be learning and keeping up with new ideas, trends, research, and pedagogy. 3. Curious and Explorer - teachers should be curious and want to explore and learn more. Pass this along to your students. Try new things, and see what works best. 4. Connect with students - make personal connections with students. Show them that you care about them as people. This helps with behavior issues, along with helping students want to come to class and do well. Be mindful of their home lives, experiences, and issues that may affect their learning. 5. Pedagogy and Content - it's hard to teach if you don't know your content or how to help students learn it. 6. Tools - need to know what tools and resources exist to help you teach and help your students learn. This includes technology, research, lesson resources, help, and more. 7. Ask for help. There are people who will help you. 8. Compassion - remember what it's like to be a student. Realize that your students may have major issues outside of school that will affect their learning. 9. Be self-reflective and seek to get better at your career. Always reflect on what you are doing and how you can do it better. 10. Flexible and think on your feet - plans go awry, schools change plans, stuff happens. Be flexible, be able to adapt and overcome obstacles. Sometimes students start a great discussion - roll with it, and be flexible and use it as a great learning experience. 11. Connect and communicate with parents. Parents are a huge influence on student learning. Home life, parental support, and more. Connect with parents and help them help their children. 12. Teach students, then teach your content. We are not just teaching science, math, or history. We are teaching our students life skills that will help them in the future. We are trying to make them informed, educated, productive members of society. 13. Prepared and Organized - be prepared to teach and support learning. Be organized. Both of these are important and will help you overcome obstacles and last minute issues. What traits would you add?